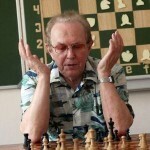 Vitaly Tseshkovsky, who died on the 24th December, coached the young Kramnik in the years when he broke into the World Top 10. 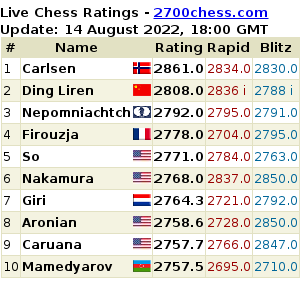 Kramnik has now shared his recollections of Tseshkovsky, noting his talent was comparable to Timman’s, but he lacked the sporting and political skills required to top world chess in that era. 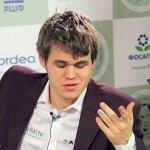 After the Tal Memorial in Moscow Magnus Carlsen gave a long interview that provided a remarkable insight into what makes the Norwegian stand out in world chess. He claims to have essentially developed as a player without computers, and to barely work on the game outside of tournaments.